A bedroom should be a peaceful oasis where you can escape from the rest of the world. Choosing how to decorate to achieve this effect can be challenging, especially if you are on a budget. If you like soft, romantic palettes and delicate well-loved pieces, and are budget conscious, then the shabby chic design aesthetic will be right up your alley. 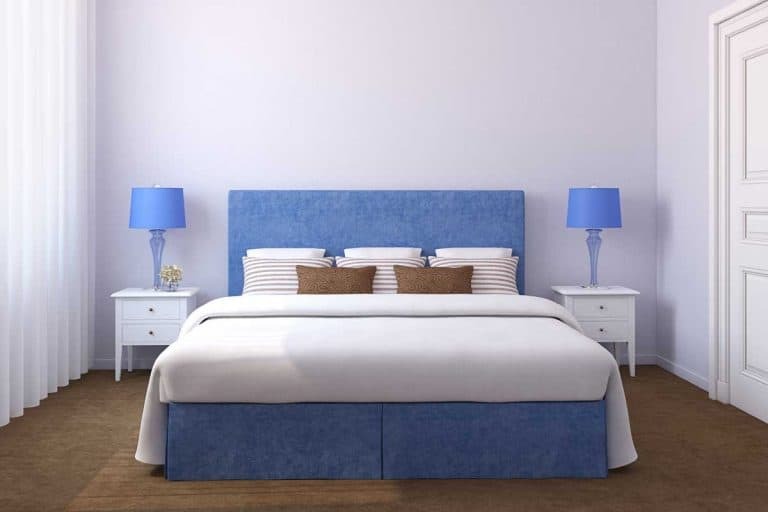 I am happy to tell you how you can bring this decorating style into your bedroom. Check thrift stores and yard sales for solid wood furniture that has a great old patina or that can be painted. Use paint in tones of white, pale blue, beige, and pinks to transform unsightly walls, floors or furniture. Look for good quality used linens in cotton or patterned linen that are white or pastel colors with ruffles and delicate floral prints that you can mix and match. Floral patterned wallpaper, especially roses is a staple of this style. Use clean white cotton or repurposed print sheeting to slipcover comfy old chairs and pillows, or to make curtains. Decorate with vases, picture frames and other items that have a vintage feel. The shabby chic decorating style is perfect for decorators on a budget since it is all about reusing or re-purposing old items. It is easy to accomplish for even the most inexperienced decorator too. Keep reading for more details and inspiration for creating your own beautiful shabby chic bedroom. 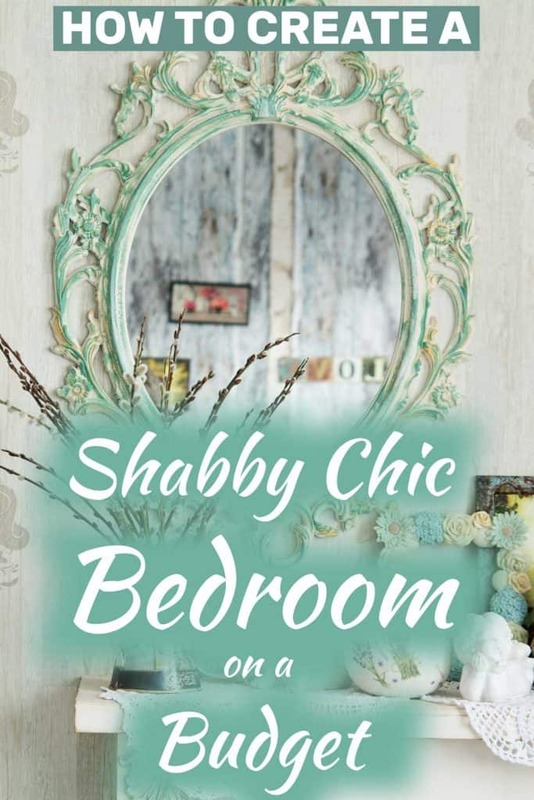 What Exactly Is Shabby Chic? Shabby chic interior design focuses on an aged patina. It was originally inspired by the furnishings in old English country homes where generations-old furniture and decorative items were well loved and added to over the years. Wooden furniture might have several layers of old paint that has worn showing the colors underneath. Romantic faded chintz fabrics are used to for bedding or slipcovers. Walls are covered in faded wallpaper or painted in pastel colors and floors are dressed in soft, worn rugs. Because of the vintage feel of this design style, creating this look on a budget is very easy. Thrift stores and garage sales are great places to find gently used items. Paint is a cheap and easy way to update the old-fashioned furniture or decorative items. The bones of the bedroom is the furniture. Paint old wooden furniture white or pastel colors to brighten it up. Iron or metal bed frames are a great choice also. This antique vanity has been painted bright white. Instead of a bulky, dark piece of furniture that could weigh the room down, this vanity now is whimsical and romantic looking. The adorable chairs have been painted white and reupholstered with scraps of old fashioned fabrics. The lovely rose pattern combined with the ice blue velvet fabrics are matched beautifully. These pieces are great examples of inexpensive pieces of furniture that can be found cheap. Transform them with a little white paint. Sand the corners and edges to make the patina look more broken in. A charming headboard becomes a real centerpiece when it is painted antique white. A beautiful metal or cast iron bed frame with faded paint is a perfect addition to a shabby chic bedroom. Check out your local flea market or second-hand store to find one on the cheap. If you love this look, but can’t find a used metal bed, check out this metal bedframe from DHP. Paint it white to replicate the look above. Bright white walls paired with furniture that has faded paint creates a bright and airy monochromatic look. Create a unique look with pastel painted shiplap walls. These paint hues are so light they are almost white, but when combined, show their true colors. An icy lilac tint provides a delicate contrast to the bright white furniture. Pink perfectly captures the romanticism of shabby chic, especially when combined with a chintz quilt patterned wallpaper. Gently faded patterns in delicate floral or vintage patterns are a standard component of this aesthetic. Look for faded sheets or curtains, or pieces of fabric at yard sales, or in bargain bins at craft stores. A vintage chenille bedspread with a faded flower print looks pretty against the white walls. Tiny rose prints are a common part of the shabby chic decorating motif as well. 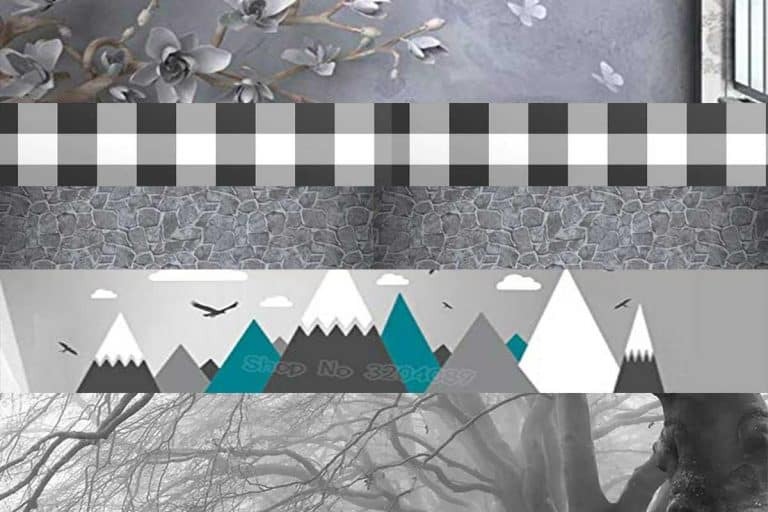 Mix and match patterns in similar colors to create visual interest. Pair a delicate pattern against white ruffles for a sweet combination. This look is easy to pull off with a yard sale or thrift store finds. If you want to create this type of look without the hassle of rummage sales, check out the following new items that you can still get for a bargain. This sweet quilt set from Cozy Line Home Furnishings fits in with the look perfectly. Add white ruffled curtains and sheets to complete the look. The walls are another place where a lovely floral pattern can reside as a part of this type of decorating style. Check out sale bins for wallpaper remnants or yard sales for unused rolls of wallpaper in order to create this look on the cheap. The color in this wallpaper is pretty bold, so only having enough paper for one wall is perfect. Wallpaper is an easy and inexpensive way to add elegance to an otherwise ordinary room. Covering one small wall with a high-end wallpaper remnant will elevate your room’s whole look. A stunning example of the style of wallpaper that you might want is this pattern from Ramosa Wallcoverings. This light and airy design will provide the perfect backdrop for your English cottage style furnishings draped in white ruffles and blooming roses. For those on the tightest of budgets, follow the old adage: Keep it simple. White walls, white curtains, and white bedclothes will always match and are easy to care for. Add a few pillows covered in romantic rose patterned pillowcases to create the effect that you are looking for pennies. If you are handy with a sewing machine, you can make a charming slipcover from old sheets to refresh the look of your ugly, beat up looking chairs. This all-white slipcover can hide a multitude of sins, from stains, holes and hideous outdated upholstery patterns. A slipcover changes the look of a piece of furniture so you don’t have to buy all new. Try an inexpensive slipcover for your vanity chair like this one from JH Tablecloths. From the delightful flower pattern to the whimsical ruffles, this chair cover is a fantastic addition for any shabby chic bedroom. Now for the coup de gras! It is the details that really make the look, and if you are on a budget, this is a fantastic way to take a plain Jane white bedroom from shabby to chic. Things to look for at thrift stores or yard sales are ornate picture frames, vintage looking birdcages, jewelry boxes, anything with roses, ornate chandelier-type light fixtures. It doesn’t matter what condition these are in, you can always paint them white! This decorative light fixture is a great example of what can be done with a little paint and creativity. Vintage wooden crates and ceramic crocks are easy to find at flea markets or online and really add a romantic component to your room. Learn how to decoupage an old jewelry box with pieces of pretty wallpaper and make a unique and personal work of art. Create a cohesive look by painting a variety of picture frames covered in ornate scrollwork and carved flowers all in white. Fill them with sketches or black and white photos for a more personal display. This beautiful chandelier is a cost-effective to add a little glamour to your bedroom. Add these ornate cast iron hooks to the back of your bedroom or closet door to incorporate an antique look into your room. Can You Decorate Other Rooms Shabby Chic? Of course, you can! If you dream of a quaint English cottage style home, you should go for it! Use the same motifs and techniques in any room in the house. You can even decorate in the shabby chic style outside. Check out these rooms for inspiration! This long shot photo shows how shabby chic can be incorporated into the entire house. Lots of white painted furniture and decorative items keep the look cohesive and clean, with touches of color coming from the antique dishes in the china cabinet. In this picture, a run of the mill kitchen is saved from blandness by painting the cabinets a soft robin’s eggs blue and by using milk glass for vases and utensil holders. This look could be easily duplicated on a very tight budget as almost all of these elements other than the paint can be found at yard sales for almost nothing. This design aesthetic is by and far the best if you are wanting to create a soft and romantic sanctuary on a budget. 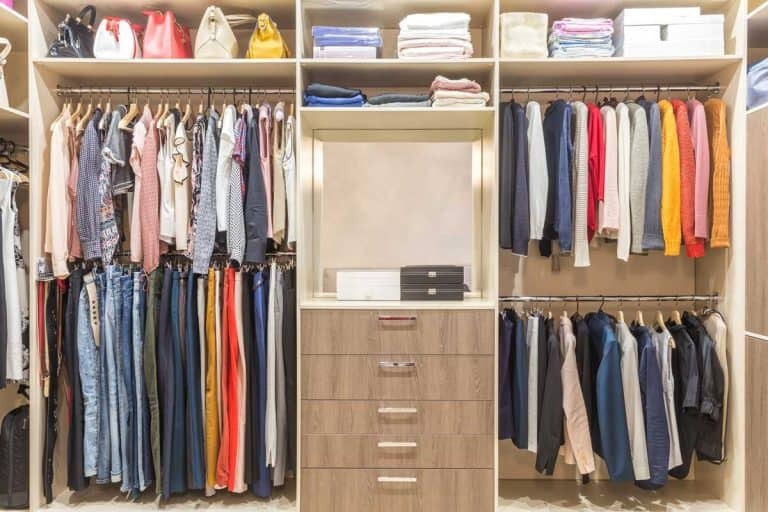 Because the desired end result is a look that is lived in, it enables the designer to use items that are used and repurposed, which is not just cost-effective, but also environmentally friendly.